Ohana embodies the concept of a larger family that goes beyond blood. This means that your ohana can include your best friends, neighbors, or anyone else who is special in your life. With that in mind, we are proud to be connected to these local artisans, surfers, and all around salt-of-the-earth individuals. They represent the best of what Cleveland has to offer. By day, Eric serves as a technical services manager, providing services to school districts across Ohio. But when not in the classroom, you can find Eric pursuing his other passion: capturing the simple beauty that exists along Ohio’s north coast. Photography means many things to many people and you will quickly recognize that Eric’s interest lies along the lines of landscape, nature and cityscape - oftentimes culminating in capturing the combination all three! 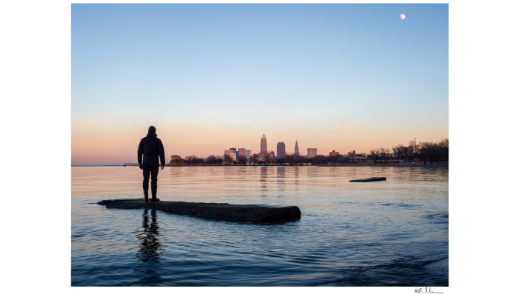 Born and raised in Ohio, Eric currently resides along the shores of our great lake in Lakewood with his wife and two children where he works to capture and promote this amazing area he calls home. “If you used to surf... You never did." Stevie started surfing when he was 11, and since then there was no going back. Being addicted to surf means that he is ready to go no matter what. All you can do is make the most of what you’ve got! Justin is a local Cleveland Surfer/ Photographer/Musician/Taco Connoisseur. When he isn’t out capturing photos, you can find him chasing down outdoor activities like standup paddle boarding, snowboarding, hiking, or kayaking.